Field limited to 72, 3 players required to make a division. 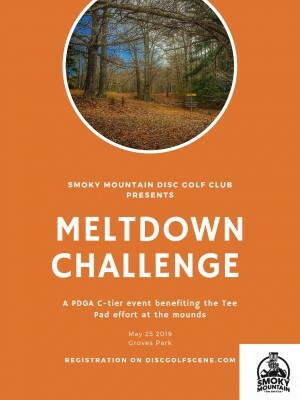 A portion of each entry will towards getting tee pads installed at the Mounds. Playing from whites both rounds for A pool and B pool layouts. Come out and get that arm warmed up for TN States! Smoky Mountain Disc Golf Club is responsible for all refunds/cancelations.